How to read resistors code ? Almost every electronics website in this world has a page for teaching how to read resistor codes :). We are not going to write the same article again. Instead, we are going to share links to sites which teach you have to read a resistor code. Digikey: Digikey has an online resistance value calculator. Most of the electronics people use 4 band carbon film resistors, so, this calculator should be very helpful for you. Instructables: This tutorial has given a resistors color code chart, some example and some exercises. This is good ! WIKIHOW: This tutorial has real pictures to teach you how to read resistors. It should help you. Hobby-hour: Hobby hour has gone a bit further. It has written a lot about 4 band and 5 band resistors. In addition, it has written about different tolerances and series of resistors. Recommended ! The final band indicates the tolerance of the resistor. 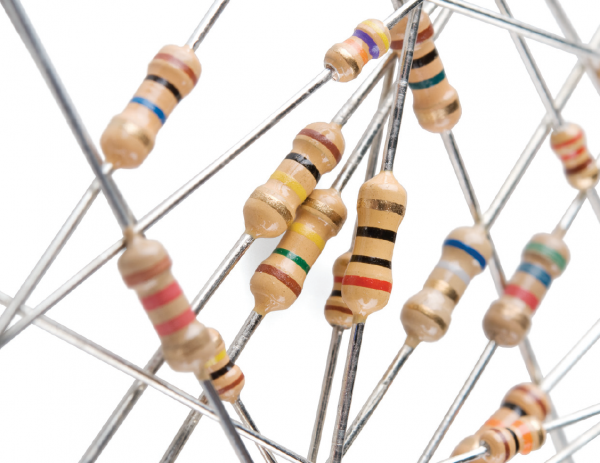 The tolerance explains how much more or less the actual resistance of the resistor can be compared to what its nominal value is. No resistor is made to perfection, and different manufacturing processes will result in better or worse tolerances. For example, a 1kΩ resistor with 5% tolerance could actually be anywhere between 0.95kΩ and 1.05kΩ.